It's no surprise how much I am going to miss Target in Canada. When I first heard the news they were coming in 2011 (and when they finally arrived) I was ecstatic. Forward to two years later I am devastated by their sudden departure. I LOVE Target. It was my go-to place for practically everything, from exclusive brands sold at Target to their $1 section. I'm not one to compare competitors as they are each to their own. However, there are some things I liked slightly more coming from Target, mainly fashion and beauty related. As mentioned earlier, exclusive brands that cannot be found elsewhere such as Sonia Kashuk and Pixi, I had heard such wonderful reviews on such brands that I needed to get my hands on them asap! When it came to clothing, not only were they fashion forward but also in exceptional quality. There were also designer collaborations which no one misses out on (Hello? Remember: Phillip Lim, Peter Pilotto, Altuzarra!?). And thanks to Target landing exclusive rights to the brand from Roots, Beaver Canoe returned to the scene! I could go on, but this goes to show how much I am going to miss Target in Canada. Sonia Kashuk Pearlescence Long Wear Crème Shadow (REVIEW). Sonia Kashuk Liquid Light Concealer. Sonia Kashuk Core Tools Angled Eye Shadow Brush No. 108. All items purchased were either something I spotted and loved, a repurchase or miscellaneous knick-knacks I found while browsing around. But let me know in the comments: Did you find anything during the liquidation period? What will you miss most about Target? Do you hope for a comeback in the near future or shipping to Canada? Goodbye Target, you'll be missed. See you stateside! Soon-to-be a Mrs.? Congratulations! Blank page of ideas? Not to worry. My friends at Lover.ly are here to help! 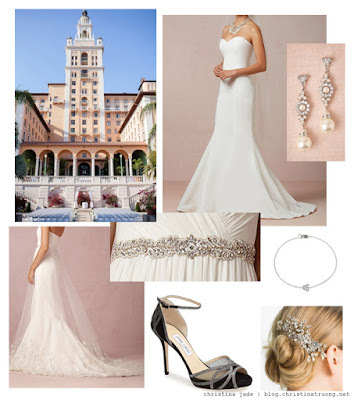 Everything you're looking for, from finding THE dress to all your wedding planning needs (and I mean ALL your wedding needs), they are seriously a bride's digital BFF. When asked to plan my dream wedding I thought this would be fun. I didn't realize the amount of fun I would have. I spent hours, scratch that, DAYS browsing on their site and admiring everything that can potentially be featured on my wedding day. Seriously, a girl can dream! Overwhelming, to say the least (can't I just wear all these beautiful dresses?! ), I eventually picked THE dress and accessories to fit in with the venue and showcase my personal flair. "A smile is the prettiest thing you can wear." But it's not easy to throw on a smile when your teeth aren't at their pearliest whites. There are always new whitening products on the market that sound promising but have you feeling skeptical. However, I have always been a fan of Crest 3D White Whitestrips so when Crest 3D White came out with their Brilliance Toothpaste and Brilliance Boost polishing treatment, I was excited. With its special Illuminating Complex and micro-cleansing whiteners, the Brilliance Toothpaste and Brilliance Boost polishing treatment will help give a dazzlingly white, brilliantly clean and amazingly fresh smile. It removes stains and brighten the tooth surface, amplifying your smile from the very first use. Evian® Natural Mineral Water’s journey starts as rain and snow high atop the French Alps after which it filters for over 15 years through glacial rock and sand to a deep underground catchment just outside the town of Évian-les-Bains, France. The water contained in the spray is tested 300 times per day to insure quality and the consistent unique mineral content - guaranteed to be the same year after year - canister to canister. No other water has the same mineral content. 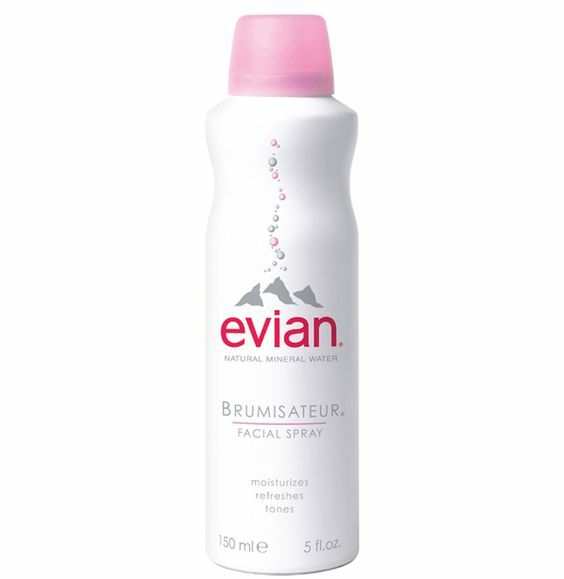 Evian® Facial Spray was originally introduced in France in 1962 at the request of doctors for use on burn patients. It was the first facial water spray in France and was introduced as the first facial spray in the United States in 1978. Because of the current world-wide awareness of the Evian brand name, and the 36 year efforts of the USA exclusive distributor (The Wilkes Group Inc. in Old Lyme, CT), Evian is the only facial spray to be carried by many prestige retail groups including Nordstrom and Sephora. Worldwide, the Evian brand can be found in over 120 countries.The exquisitely fine mist produced by evian® Brumisateur® penetrates and rehydrates the upper layers of the skin. evian® water has a unique mineral balance along with exceptional purity which suits all skin types, even the most sensitive. Leaves skin looking healthy and feeling refreshed. Dermatologically tested. Use evian® Facial Spray to intensify makeup colors, revive color throughout the day, and set makeup after application for a youthful, dewy look. The leak-proof canister is the ideal product to take on-the-go in any purse or travel bag. Unlike other water sprays, Evian Spray is sealed at the source, so it can not be contaminated. Enter for a chance to win two 5 fl.oz. (150ml) evian® Facial Sprays.